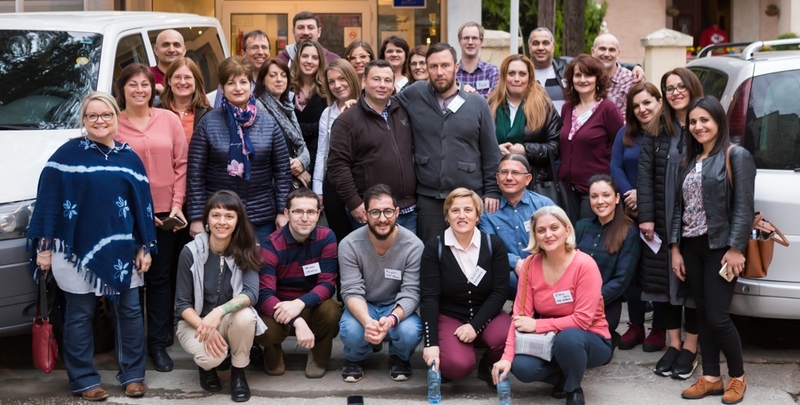 For the fourth consecutive year, FSCI gathered representatives from its partner organisations in Southeast Europe for its annual Network Conference. Seven NGOs from FSCI’s Development Programme took part, with delegates coming from Albania, Bulgaria, Croatia, Macedonia, Moldova, Serbia, Switzerland and the UK. The theme of the conference was “The Power of Networks” and together the delegates shared the partner’s progress in their countries, looked at building successful support networks at local, national and international level, discussed fundraising ideas and experiences and thought carefully about how to use the FSCI Network to benefit the people and communities the partners work with on a daily basis. Held in Skopje over three days, the conference included sessions and workshops where experiences of partnership in the programme were exchanged, good practice shared and the difficulties encountered in working with youth, children and families from vulnerable groups were discussed. Under its Development Programme, FSCI is currently partnering with seven like-minded organisations in Southeast Europe. Providing a manual for work on its programmes, regular training and meetings, FSCI is helping to successfully replicate the House Opportunity project in Serbia (2 family-type homes), Croatia (2 family-type homes) and Albania (1 family-type home). The Greek partners run a day care centre for young people leaving homes for children deprived of parental care in Athens, while our partners in Macedonia and Moldova are also helping vulnerable young people.